Will Phonetic Profanity Be OK to Register as a Trademark?? SCOTUS granted certiorari to and recently heard arguments on the case of a guy trying to register FUCT as a trademark. The question: Can a phonetically profane word be registered as a trademark? The US Patent & Trademark Office denied registration of the mark based on its obvious similarity to the past participle of a verb commonly recognized as profane. The case has wended its way through the appellate process (US District Court for DC, Federal Circuit) and now sits before the Nine Wise Ones where it asks them to decide whether a long-standing rule prohibiting the registration of profane words interferes with the trademark holder’s First Amendment free-speech rights. They heard oral arguments on 15 April 2019. The Roberts Court has a history with disparaging marks, having allowed SLANTS (which the USPTO denied based on its derogatory reference to Orientals) only last year. But SLANTS is not outright profanity. 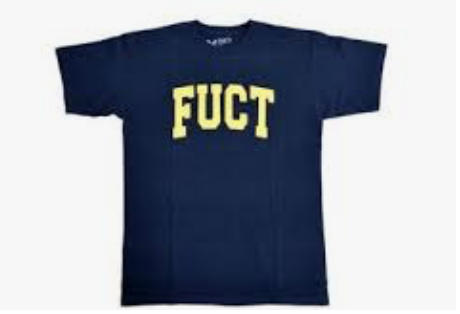 FUCT, phonetically, is. It’ll be interesting to see what this blatantly conservative Court does with FUCT. Seems to me that either the trademark holder will be FUCT or the public will be. I was fortunate to be able to attend at least part of the Fourth Annual IP Mosaic Conference, held at my alma mater, UNH School of Law (formerly, and when I attended, Franklin Pierce Law Center). Less fortunately, I was sick and had to bag it, so I missed the section on blockchain. But the conference organizers recorded the section on blockchain, which was the part of the conference I was really interested in, and they invite you to listen in. SCOTUS handed down a HUGE trademark decision yesterday. Matal v. Tam declares the language of 15 USC 1052(a), which prevents the registration of marks that may “disparage . . . or bring . . . into contemp[t] or disrepute” any “persons, living or dead” to be unconstitutional under the First Amendment’s Free Speech clause. This opens up a whole new world of potential trademark registrations.